The top smartwatches for running combine fitness tracking with notifications, music, texts, apps, and all the other great things you expect from a smartwatch. How do you choose which one is best for you? There are a number of features that are universal, from custom watch faces to step tracking to text, email, and other alerts. But there are some significant differences as well. Some function on their own without a nearby phone. Others have built-in GPS. A few are more fitness watch than smartwatch. The best options depend on your needs. 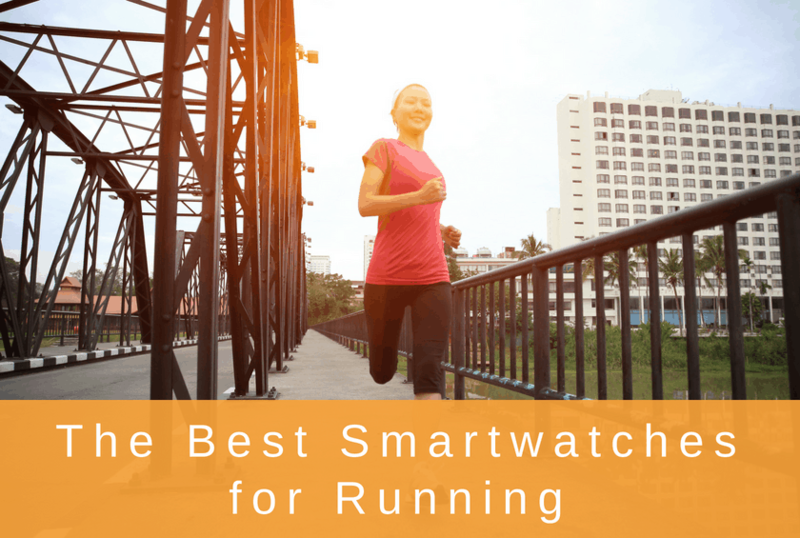 Here are six of the best smartwatches for running for you to compare. 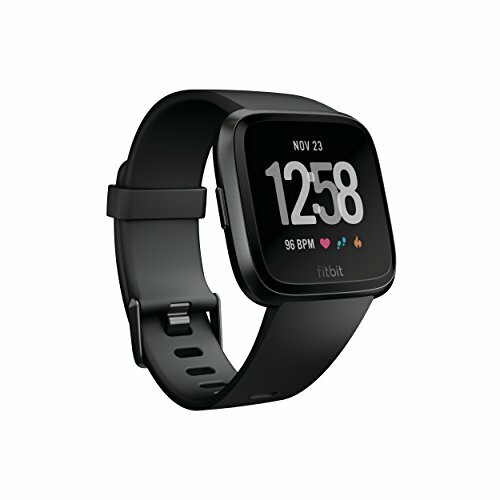 Decide on the best smartwatch for you, and start connecting your fitness routine to the rest of your life. One of the newer Fitbits on the market, the Versa combines fitness tracking with smartphone features. It’s versatile enough to take for a run, but has a stylish look for everyday wear. It comes with a great battery that can last about four days. It charges from zero to 100% in a couple hours. The watch also provides 24/7 wrist-based heart rate monitoring. Leave your phone and music app at home while you listen to the 300+ songs it can store internally. There are also many apps available for download, including coaching, guided breathing, and reminders. The Versa is slimmer than older Fitbits. It has a square shape, similar to the Apple watch, and comes in various colors including pink, gray, and black. Plus, you can pair it with a range of different wristbands to customize your style. The touchscreen makes using the watch simple. The three buttons on the side are also customizable to jump to the programs you use most. Like many smartwatches, the Versa performs best when synced with a smartphone. This means having your phone nearby. This might be a pain when going for a run. The Versa relies on your phone’s GPS to track your pace and distance. But, you can receive smartphone notifications on the Versa. With an Android phone, you can “quick reply” to texts with a button push. It supports 15+ exercise modes so no matter what you’re doing, you can track your progress. And, the Versa is waterproof for swimming, able to track time and laps while in a pool. Like all Fitbits, this one monitors steps, creates step goals, and monitors sleep. It also tracks calories burned and lets you compare active minutes vs. stationary minutes. 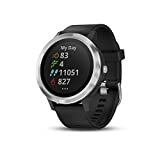 For an affordable price, this is one of the best watches out there for tracking your running and fitness progress. 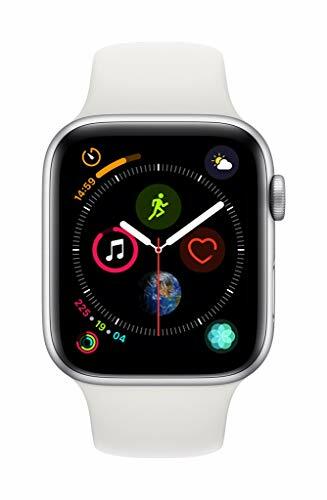 The Apple Watch Series 4 has been redesigned with new features ideal for runners. The Series 4 comes with built-in GPS for tracking time, pace, and distance while running, meaning you can leave your phone at home. Easily see lap splits, cadence, and how far ahead or behind you are from your goal pace. Waterproof to 50m, the Series 4 tracks both pool and open water swims. And if you don’t feel like setting the watch ahead of working out, it attempts to figure out and record whatever you are doing. Enjoy listening to music? Stream music, podcasts, or radio stations from the watch to wireless Bluetooth headphones. The display screen is 30% larger than prior Apple Watches. An improved battery means less charging. While you’ll still likely to charge it every day, it should last the entire day without a recharge. The Series 4 tracks your activity 24 hours a day. It uses 3 activity rings that measure how much you move, how much you exercise, and how often you stand. Tracking these metrics ensures you are staying active throughout the day. Heart rate is tracked with a wrist-based monitor. Going beyond simple pulse monitoring, a new ECG sensor displays irregular heart beat patterns. Any gym equipment that is compatible syncs with the watch to ensure accurate records of your speed, calories, and heart rate. With the ability to download many popular apps, you can use your favorites for working out. The Apple Series 4 Watch is not your classic dedicated work-out device. But it does a great job at monitoring the progress of any running or fitness enthusiast who isn’t a professional. It’s a great choice for any runner wanting an attractive yet fitness-ready smartwatch. At $299.99, the current Gear Sport is lighter and nicer looking than its older models, though heavier than many models on the market today. But it looks like a traditional watch, which is appealing to many people. Choose between the black or the blue model, with a variety of interchangeable straps. It can run with both Android and iOS to check notifications, but is better suited for Samsung Android phones. When paired, you can utilize Samsung Pay and reply to texts when connected via Bluetooth (or Wi-Fi). 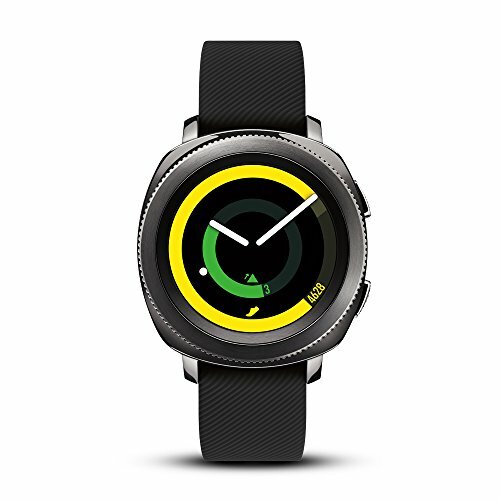 With an additional rotating wheel around the watch face, it is very easy to navigate menus. It boasts over three days of battery life, but the voice recognition is currently sub-par and there aren’t many apps to choose from. What apps there are tend to be very good. Using the training guide app, there are more than 60 workouts to choose from, and the watch will guide you through each. The Gear Sport will continuously monitor your heart rate, and like Fitbit, will suggest various stretches if you’ve been sitting for a while. It is also waterproof to 50m, with a separate swim tracking app for more advanced stats. It can automatically detect workouts, and your fitness data syncs with the Samsung S Health app. Strava, MapMyRun, MyFitnessPal, and a few other, lesser-known apps may be used as well. 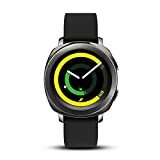 While it has a GPS, some features may not be as accurate as some individuals would like, so this watch is probably better suited for casual exercise. 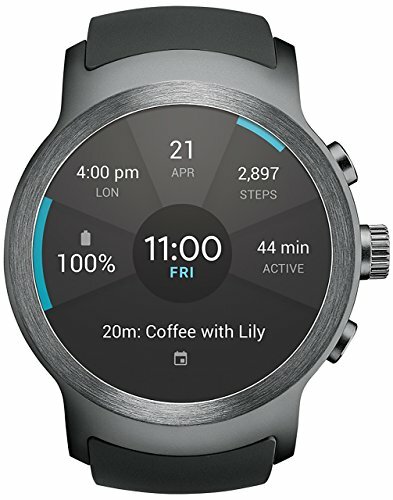 The LG Watch Sport is a good option for runners who want to stay connected but who don’t want to run with a phone. For an additional fee, it can work as its own phone, so you can make calls and workout without taking your phone along. Plus, there is now a keyboard that allows full texting. The battery life isn’t the best, and the watch is rather large (not great for small wrists), but it still has a nice design and is comfortable. Verizon is no longer selling it, but it can be found elsewhere. Waterproof up to just 1.5m for 30 minutes, this model is not advised for swimming. You can choose between titanium or blue, but there aren’t replacement wrist bands, since antennas are built into it. With its large size, (partially due to the built-in SIM card tray and 4GB of storage for music) it’s generally thought to be more for fitness than style. There aren’t too many apps available either, but what is available can be installed from the watch in the mini app store. For the best functionality, having an Android phone will get you farther, especially if you want to use Google Assistant and Android Pay. One nice feature besides the other fitness abilities is its strength training mode. Accuracy with location, pace and heart rate while running are decent, based on user reports. Ranging in price from $299 to $330, this watch is one of Garmin’s first to bring a more attractive, round and lightweight design to the table – so comfortable you can forget you’re wearing it, even while running. Battery life in smartwatch mode runs over five days, and the GPS mode lasts up to 13 hours. Plus, it’s water-resistant up to 50m. The Vivoactive 3 comes with one of the most accurate heart rate monitors aside from chest straps, and measures stress and recovery. Plus, it will give you motivational messages and remind you when you’re not being very active. While this is simpler for style, it comes with many more built-in workout features such as preloaded running and swimming profiles (including stroke type detection and swim efficiency) and various GPS based workouts, though it is limited when it comes to strength training. It features 15 sport profiles for a wide variety of exercises, from running to golfing, snowboarding and paddle boarding to rowing and yoga. For runners, the Vivoactive 3 tracks your cardio fitness level over time to give you an idea of how fit you are. Plus, you can compare to others in your age group with the app. It also features all-day stress tracking, which is something other watches have yet to incorporate. Other nice features include an upgraded processor for faster response time, find-my-phone, and music control for your phone. You can also use mobile pay and receive smartphone notifications while on the go – calls, texts, calendar reminders and other apps as you set them – plus send basic responses to texts on Android phones. There aren’t too many advanced performance metrics, but the price point is fair in comparison. If you’re looking for a fitness-focused watch to get into better shape, the Vivoactive 3 is a solid option. 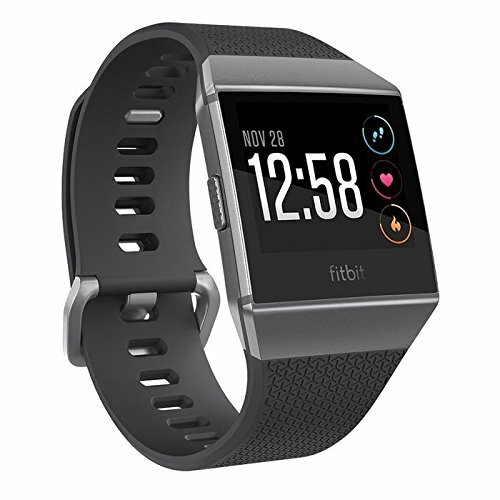 At $299, the Fitbit Ionic is a bigger version of the Versa, with more features, a larger price tag to match, and a slightly bulkier, style made from aerospace-grade aluminum. The battery will last about four days, with the GPS battery life of 10 hours, and a short one-to-two hour charge time. Added features: a variety of colors, replaceable bands, special tracking for female health, high-res screen, 300 songs storage, mobile payments, and access to Pandora. The Ionic functions as a classic Fitbit and has many smartwatch features that make it stand out. You can now install apps with the Fitbit operating system. The method Fitbit used to create this watch, combining plastic and metal into one continuous piece, is supposed to improve accuracy of the Wi-Fi antenna, GPS and other sensors, which is great news for runners. The heart rate monitor is something Fitbit has big plans for – noticing irregular heartbeat, for example. Data won’t be as accurate as a chest strap, but to gain a general understanding of your heart rate, this can be very useful. There is also an SpO2 sensor, which doesn’t function currently but could be used for spotting sleep apnea and monitoring blood oxygen levels in the future. There’s now an automatic activity pause, so if you stop at a stop light, the watch pauses your exercise and resumes it when you start moving again. If you’re working out at home, there are three built-in workouts just for that. On runs, the Ionic automatically records all the stats you’d look for, and it’s pretty comparable to the Apple Watch. When tracking sleep, it will tell you how much light, deep and REM sleep you had, as well as awake time. The Fitbit Ionic is great as a wrist-based fitness-tracking solution. Plus, it’s comfortable enough to wear all the time.